In June of this year the BBC Panorama programme GM Food: Cultivating Fear used the example of GMO BT brinjal – a type of aubergine that has been genetically modified to produce its own pesticide – as an example of the success, not just from an agricultural point of view but from a humanitarian point of view, of GMOs in developing countries. At the time of the broadcast campaigners pointed out that presenter Tom Heap, and his friend GMO promoter Mark Lynas, had grossly misrepresented the so-called success of the brinjal crop. 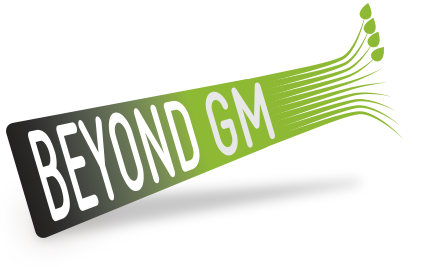 Beyond GM produced a critique of the programme and a comprehensive public survey in response. Now, as Claire Robinson writes, a new report shows that the crop has been a ‘miserable failure’. Bad for the farmers certainly, but also another damning indictment of the pro-GMO bias of the BBC, which favours the industrial farming fantasy over facts. 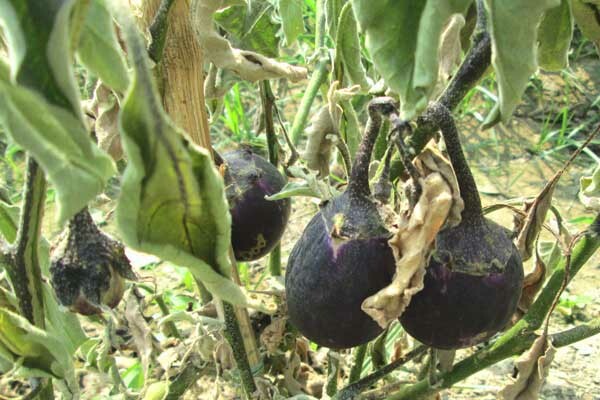 Bt brinjal (eggplant) has proved a “miserable failure” in its second year of cultivation in Bangladesh, according to a new report by the development policy research group, UBINIG. Unimpressed by claims that Bt brinjal has proved a boon to farmers, the group conducted its own field investigations and concluded that this GM crop is on “life support”. The UBINIG investigators obtained a list of 110 farmers growing Bt brinjal made by the Bangladesh Agricultural Research Institute (BARI), which is managing the Bt brinjal project in the country in collaboration with Cornell University. UBINIG was able to collect data from 79 – about 72% – of the farmers, who were spread among all of the 19 districts in which the crop was grown. According to UBINIG’s investigation, the officials even replaced failing plants with new ones. If UBINIG is correct, this is completely contrary to good practice for a scientific trial and in itself would be enough to render the results worthless. It remains to be seen whether the researchers declare this practice in any paper that they publish on the experiment in a peer-reviewed journal. If plants were replaced and the researchers keep quiet about it, that could constitute scientific fraud. The British author and GMO promoter Mark Lynas has claimed that Bt brinjal “requires drastically less pesticide than is conventionally applied by farmers to brinjal”. According to UBINIG, the crop was hyped to farmers as the “no-pest brinjal”. UBINIG states, “Thirty-five types of pesticides, including acaricide [kills ticks and mites], insecticide, and fungicide, were sprayed several times in the Bt brinjal fields”, on the direction of the supervising officials. Five banned insecticides were used on Bt brinjal, including Basudin, Bidrin, Dursban, Diazinon and Furadan. These banned insecticides were used in farmers’ fields in Gaibandha, Kushtia, Manikganj, Mymensingh and Sherpur districts. Thirty other pesticides used in Bt brinjal fields were not from the list of 76 pesticides officially recommended for brinjal crop production in Bangladesh. UBINIG found that Bt brinjal fell victim to a number of pests and diseases – not just bacterial wilt, a problem that even BARI admitted to – but a variety of viruses, fungal infections, insect pests, and mites. Viruses included tulshi and mosaic viruses. Fungi appeared as root rot, stem rot, wilt, leaf spot and fruit rot. Farmers reported heavy infestations of whitefly and aphids in the Bt brinjal. There was also an infestation of red mites. Bt brinjal was claimed to be profitable because the yield would not be impacted by the fruit and shoot borer. However, UBINIG says the yield did not live up to the expectations of farmers. Those farmers who were able to supply details of costs and income reported losses ranging between Tk. 15,000 (USD 192) and Tk. 30,000 (USD 385). In comparison, farmers cultivating local non-GM varieties could earn between Tk. 70,000 (USD 898) and Tk. 100,000 (USD 1280) from the same size field. Farmers were given signboards to advertise their GM Bt brinjals in the market as “pesticide free” – a lie, given the high usage of pesticides reported. The brinjals were not labelled as GM, in violation of the terms of approval by the Bangladesh government. UBINIG reports that farmers found it difficult to sell Bt brinjal because it lost freshness more quickly than normal brinjals. Most of the farmers ended up eating the Bt brinjals at home, but the taste was “not liked”. Out of 79 farmers in different districts, 58 (74%) declared that due to the losses they had incurred, they would not cultivate Bt brinjal again in the future. Sixteen (20%) of the farmers said they would do so only if the BARI or DAE provided all the support. Only one farmer showed an interest in growing Bt brinjal again. No toxicity information has been published on the Bt brinjals that were cultivated in Bangladesh. However, animal feeding trials commissioned by Mahyco, Monsanto’s Indian partner, revealed organ damage in rats fed similar Bt brinjals. Epidemiologist Dr Lou Gallagher, who analysed the industry tests, concluded, “Release of Bt brinjal for human consumption cannot be recommended given the current evidence of toxicity to rats in just 90 days and the studies’ serious departures from normal scientific standards”. The second year of Bt brinjal cultivation in Bangladesh has taken place against a background of secrecy and deception. The chief mystery is why it was planted at all. This is because Bt brinjal was widely recognised as having suffered widespread failure in its first year of cultivation, with angry farmers demanding compensation. According to UBINIG, BARI did not issue any report on the performance of Bt brinjal in the first year of cultivation, leaving the industry lobby group ISAAA as the only body to report on the results of the experiment – and ISAAA’s report is hidden behind a paywall. UBINIG says the second round of cultivation was “not based on any request or demand from the farmers”. A new group of farmers was recruited who did not know anything about GM Bt technology and were not “aware of the debates and the experiences of the farmers” who had already incurred losses in the first round of field cultivation. In view of all the problems with Bt brinjal, UBINIG likened it to “a patient in an intensive care unit under life support”. This article first appeared on GM Watch. We are grateful for their permission to reprint it here.